This is the second piece of pinup art - of sorts - I've done this year. In October. This is bad. 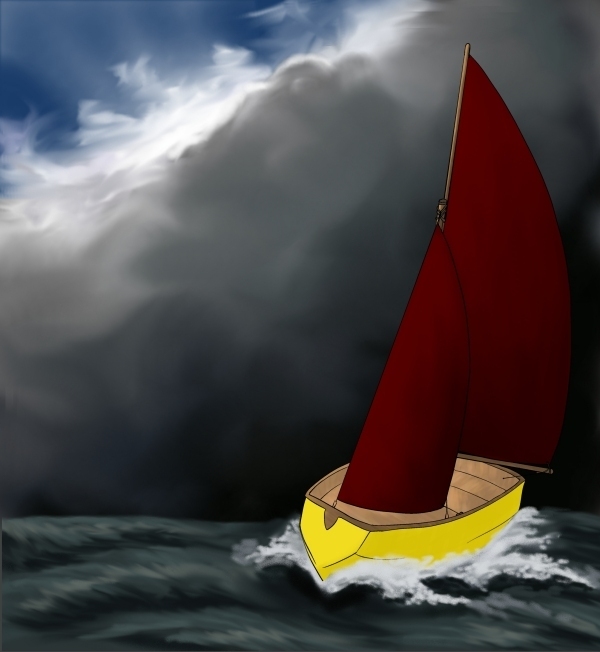 Anyway, I drew the boat, modelled on my Mirror dinghy, for the cover of the third issue of Sun Fish Moon Fish, and liked the spray effect enough to keep it :) Drawn in ComicWorks and coloured in Paintshop Pro 7.